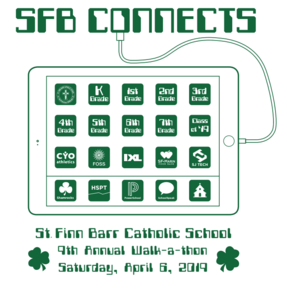 I hope you all are getting excited about SFB's Annual Walk-a-thon "SFB Connects", coming up in 10 days! To really get into the spirit, have you considered getting a walk-a-thon shirt? They are just $10 each and you can get youth or adult sizes. It's not too late but after this second shirt order, it will be too late. 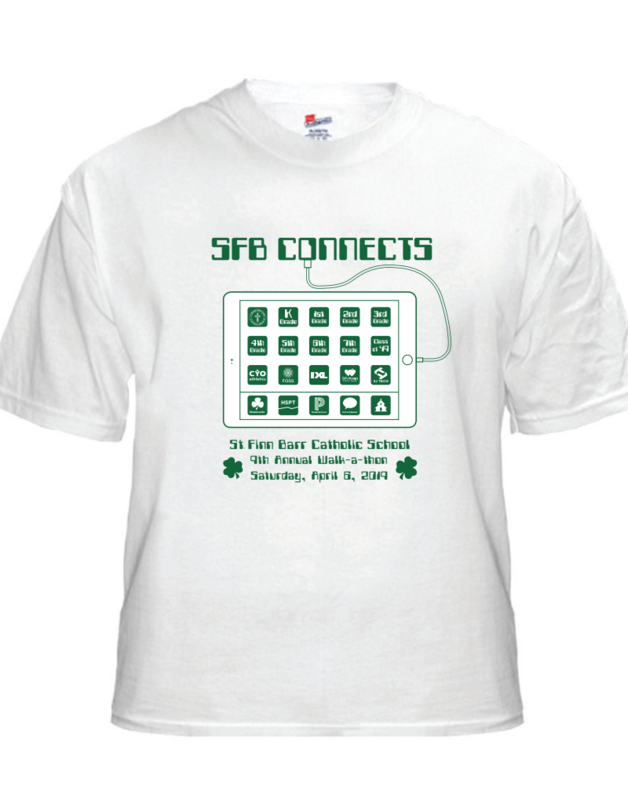 If I can get a total of 24 shirts ordered, SFB can get them for the same price as our original (large) order. I have a request for 2 shirts, so we only need 22 more shirt requests to keep our shirt price low. An image of the t-shirt proof is attached for your consideration. 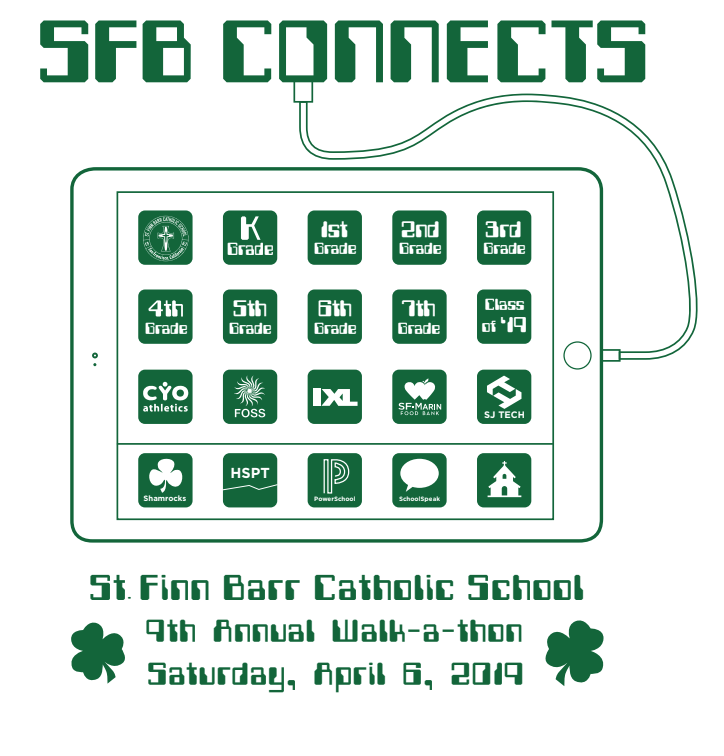 Please note that the shirts will not be printed in time for you to wear at the walk-a-thon, but you will still have a nice keepsake. NEW This Year ... T-shirt and Lapcard "All In One"! Please contact me with any questions. Thanks for your support and SFB Spirit!